The makers of a tiny modular robot arm have raised almost $700,000 on crowdfunding platforms including Indiegogo. The desktop robot is designed for tasks such as drawing, writing, laser engraving, 3D printing and picking and placing items. Avidbots, a maker of commercial floor-cleaning robots, has raised $23.6 million in new funding. The company says it will use the funds to accelerate global expansion, and wants to bring robots to everyday life to “expand human potential”. Essentium, a provider of 3D printing solutions for industrial additive manufacturing, has closed $22.2 million in Series A funding. The round was led by BASF Venture Capital with participation from Materialise, Genesis Park, and previous seed round investors. RightHand Robotics, a provider of integrated robotic piece-picking solutions, has secured $23 million in a Series B funding round led by Menlo Ventures, an active investor in the robotics sector. GV, formerly Google Ventures, also joined this round along with existing investors, including Dream Incubator, Matrix Partners, and Playground Global. A startup called Wandelbots has raised €6 million in funding which it says it will use to “democratise industrial robots”. Wandelbots, a software company which uses what it describes as “demonstration-based teaching”, raised the €6 million Series A funding from Paua Ventures, the EQT Ventures fund and existing investors. Robotiq, a provider of end effectors and software for the collaborative robotics market, has raised $31 million (Canadian) in funding from global investment firm Battery Ventures. It is the company’s first round of institutional financing. As part of the transaction, Battery General partner Jesse Feldman, who specializes in industrial-technology investments, will join Robotiq’s board. 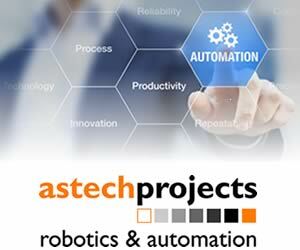 Startup company Tomahawk Robotics, which aims to bring “advanced robotic control systems to enterprise markets”, has raised a $2.4 million seed round investment from leading venture capital firms and angel investors. Participating in the oversubscribed round are: Mosley Venture Partners, which led the round, Naples Technology Ventures, Scout Ventures and Stout Street Capital. Industrial IoT startup MachineMetrics has raised $11.3 million in Series A funding. The company says the funding will enable it to “continue leading the endeavor to bring analytics to manufacturing”. Ridecell, a developer of autonomous a ride-hailing platform, which includes software and driverless vehicles, has expanded its Series B equity investment round. The new investments have more than doubled the capital raised in the initial Series B round – $28 million announced in May – to more than $60 million. 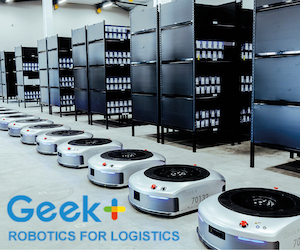 Plus One Robotics, a 3D vision and controls developer for robotic automation in the logistics and e-commerce markets, has raised $8.3 million in its Series A investment round. The funding round was led by Pritzker Group Venture Capital, with participation from Zebra Technologies. Also participating in the round were Schematic Ventures, Lerer Hippeau, TCL Ventures, ff Venture Capital, Dynamo, and First Star Ventures.